Everyone in Japan knows Brown, the laid-back bear, and Cony, the bunny whose wild enthusiasm makes Brown seem even more chilled. They make a good pair — they’re dating, you see — and they also make a lot of money for their owners. They’re virtual stickers inside Line, a messaging app that now dominates Japan. The cute characters in Line’s stickers — next-level emoji, basically — are hugely popular outside the app itself, with ubiquitous merchandising that’s impossible to ignore. … And now Line is gunning for Americans. Line (styled as LINE) is a freeware app for instant communications on electronic devices such as smartphones, tablet computers, and personal computers. Line users exchange texts, images, video and audio, and conduct free VoIP conversations and video conferences. The service is operated by Line Corporation, a Japanese subsidiary of the South Korean internet search giant Naver Corporation. 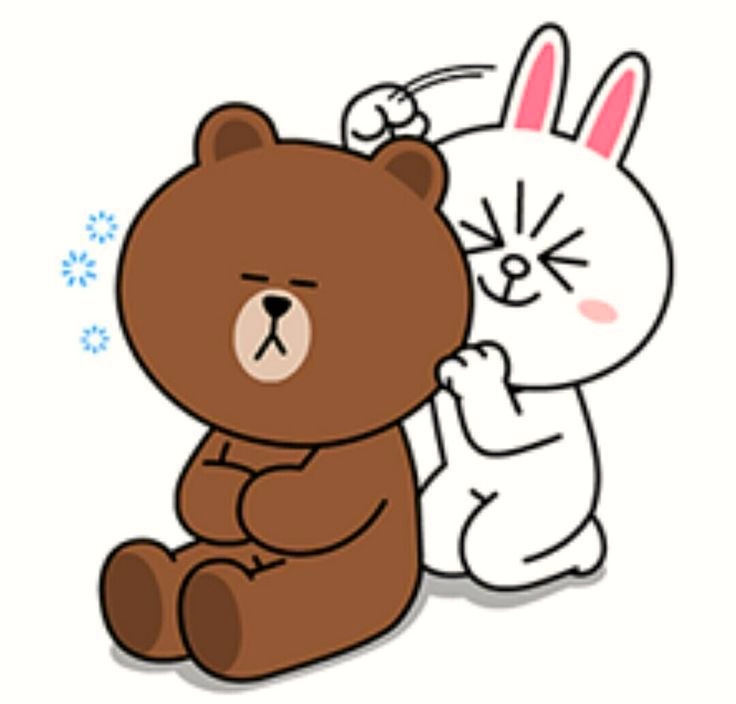 … The original default characters and stickers, known as the LINE Friends, were created by Kang Byeongmok, also known as “Mogi”, in 2011…. They include Brown, Cony, Sally, James, Moon, Boss, Jessica, Edward, Leonard, Choco, Pangyo and Rangers. Two anime series, LINE OFFLINE and LINE TOWN, were produced in 2013, picturing the Line Friends as employees for the fictional Line Corporation. … There are physical stores in Japan, South Korea, China, Taiwan, Hong Kong, Thailand, U.S. and a Korean online store to purchase LINE Friends merchandise. 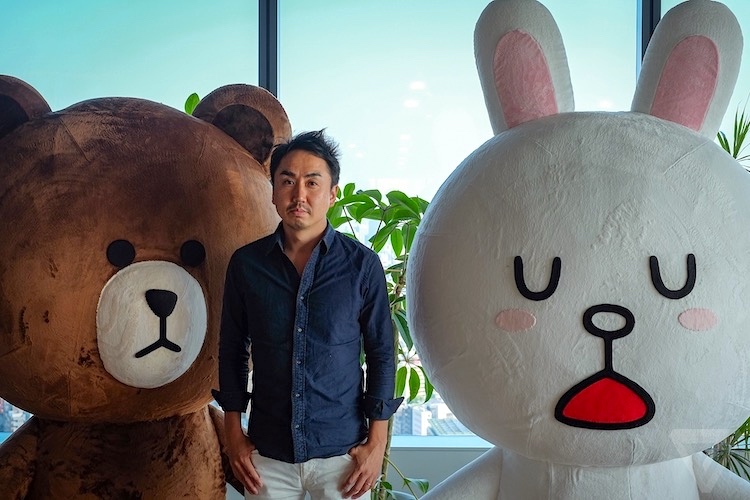 LINE is another in a series of companies whose business is characters, appearing on pieces of merchandise and diffused through manga, anime, games, videos, and longer movies. The business of characters. Two famous predecessors to LINE; both have appeared on this blog in earlier postings. Sanrio and San-X. Sanrio Co., Ltd. is a Japanese company that designs, licenses and produces products focusing on the kawaii(cute) segment of Japanese popular culture. Their products include stationery, school supplies, gifts and accessories that are sold worldwide and at specialty brand retail stores in Japan. Sanrio’s best-known character is Hello Kitty, a little anthropomorphic cat girl, one of the most successful marketing brands in the world. Besides selling character goods, Sanrio takes part in movie production and publishing. They own the rights to both the Peanuts and Mr. Men characters in Japan. Their animatronics branch, called Kokoro Company, Ltd. (“Kokoro” being Japanese for “heart”), is best known for the Actroid android. They participate in the fast food industry, running a franchise of KFC in Saitama. San-X is a Japanese stationery company known for creating and marketing cute characters such as Tarepanda, Rilakkuma, Sumikko Gurashi, and Kogepan. The characters are usually anthropomorphic representations of animals or inanimate objects. …San-X characters can be found on stationery sets and pencils, as small figurines, keychains, and stuffed toys. They are sold as blind boxes, gashapon and in UFO catchers and other prize machines in Japan’s arcades. There are also anime series, video games and children’s books featuring the characters. This entry was posted on June 30, 2018 at 5:23 pm and is filed under Emoji, Linguistics in the comics. You can follow any responses to this entry through the RSS 2.0 feed. You can leave a response, or trackback from your own site.